12 days of Christmas continuation. Day 11 Trimming the Christmas tree. Hard to see during the day but our Christmas tree this year has small blue and white lights. complete with a custom peacock feather tree topper. Over the past few years I have used the peacock feathers as decorations on the tree, but not as the topper. Looks nice don't you think? 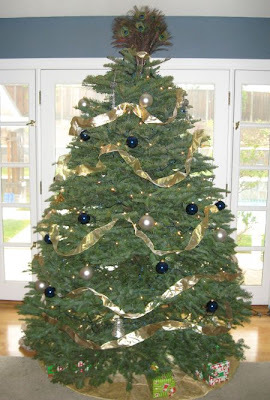 How are you trimming your tree this year? 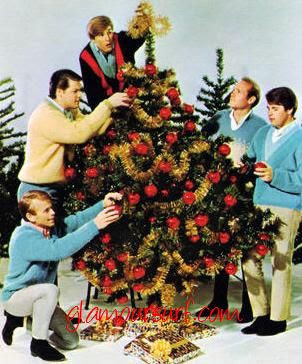 Here's a few vintage Christmas tree trimming image to give you some inspiration.